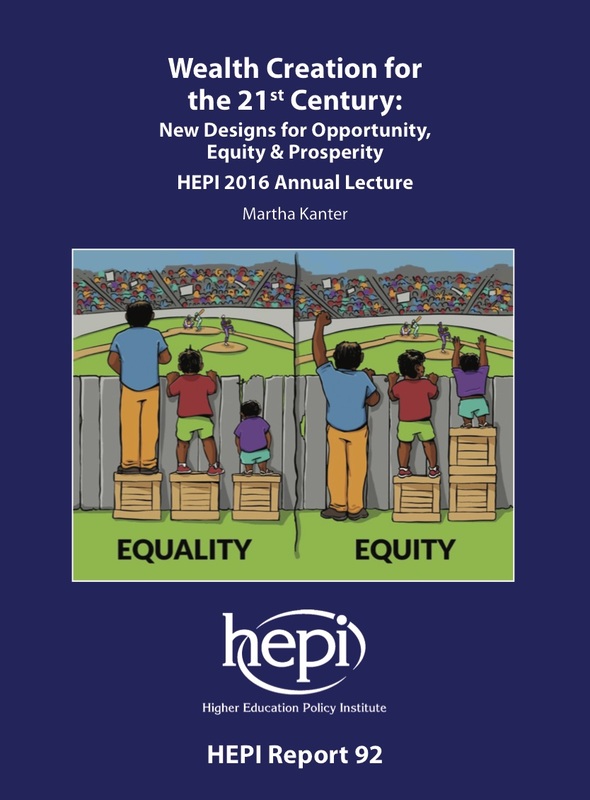 The 2016 HEPI Annual Lecture was delivered on the evening of Thursday 8th December by Dr Martha J. Kanter, former US Under-Secretary of Education in President Barack Obama’s first administration (2009-13) and now Executive Director of the College Promise Campaign and Senior Fellow, New York University’s Steinhardt Institute of Higher Education Policy. It was kindly supported by Kaplan International, Pearson and Wiley. The lecture was published on 23rd January 2017 and can be accessed by clicking on the cover below.